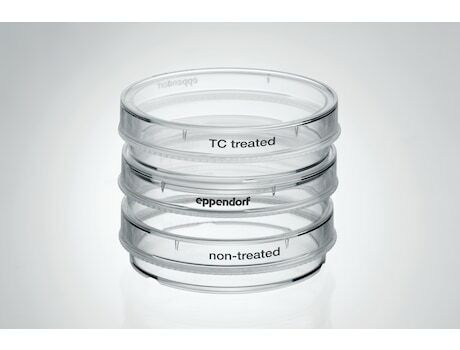 Reliable grip and easy handling makes working with Eppendorf Cell Culture dishes convenient and safe. They are available in 35 mm to 100 mm formats with TC treated or non-treated surfaces. Whenever you need direct access to your cells, dishes are the format of choice. 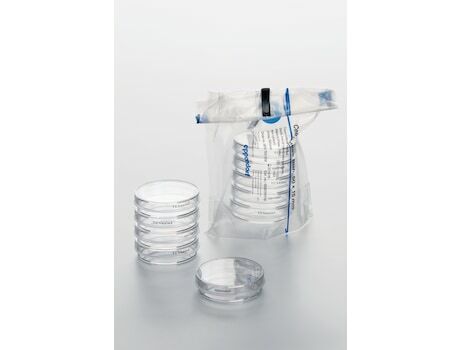 Eppendorf cell culture dishes were designed with a focus on improved handling and stacking performance to ensure a new level of safe and carefree usage. It all starts with the packaging: the innovative design can be easily opened without tools and resealed without tape. The bags are shrinkable for space-saving, safe, and contamination-free storage of unused dishes. 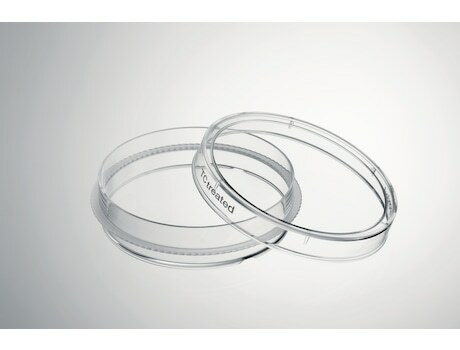 With the Eppendorf dishes, a corrugated handling ring provides unsurpassed safety in handling during transportation and expansion of cells. A SplashProtect™ ring inside the dish lid prevents spillage and traps fluid if condensation occurs. Combined with the outstanding, sturdy stacking, our cell culture dishes are unparalleled in their ease of transport and handling, safety, and convenience. A corrugated handling ring provides unsurpassed safety in handling during transportation and while working with dishes. The SplashProtect™ ring inside the dish lid traps liquid and prevents spills during transportation or incubation.